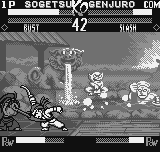 Despite the obvious downgrades that occur when an arcade title is ported to an 8-bit portable system, most Neo Geo Pocket games turned out surprisingly well, and the Samurai Shodown entries are no exception. These portable entries are denoted by the exclamation mark after the title. 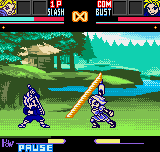 Due to the two button layout, Samurai Shodown! is forced to resort to alternate means to mimic its arcade brethren. Two context sensitive buttons are used to perform actions, which is daunting at first. 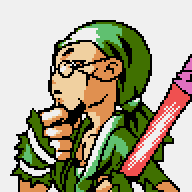 Unless you spend a lot of time trying to dabble in it, it never quite becomes second nature, but since the game is generally pretty easy, you can just focus on performing your moves and get through most battles just fine. 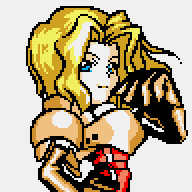 The gameplay system is closely related to Samurai Shodown IV, and about everything from that game is intact. 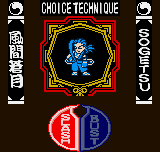 The select screen and opening stage are identical to the big brother. 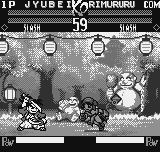 Characters still have Slash and Bust forms, although the black and white graphics prevent the game from from displaying any cosmetic difference. 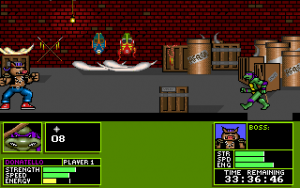 There are three gameplay modes: One Player, Survival, and VS mode. This is, honestly, pretty bare bones. 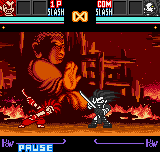 One Player mode is just as you’d expect, a parody of Samurai Shodown IV‘s arcade mode, cut scenes and all. The only difference is the slight change in dialogue, which is sillier than the original and in English ultimately reads like a worse translation than the original version. 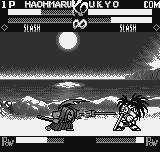 One of the main appeals of Samurai Shodown! is that it’s a self-parody of the series. 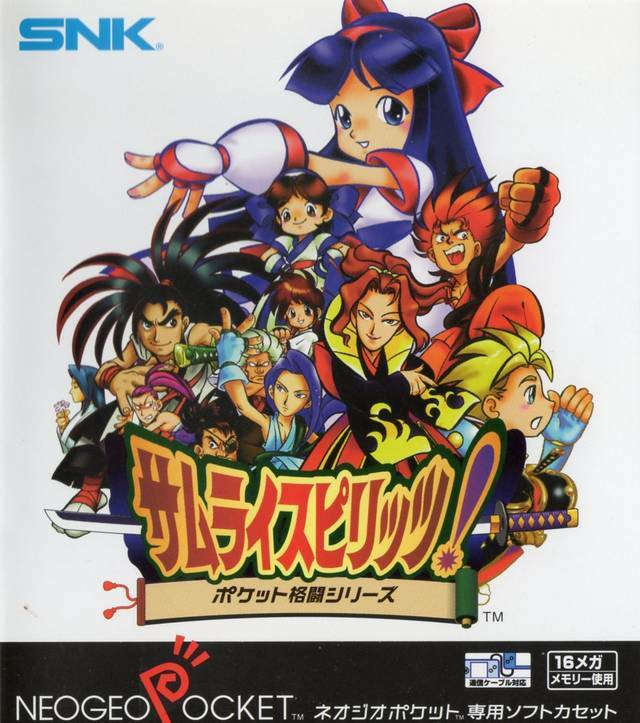 It begins with rather hilarious intro with the cutesy character sprites used for this game, similar to the ones in other titles like SNK Gals Fighters and SNK vs Capcom. 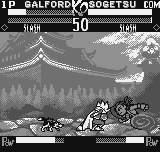 The fighters use intentionally goofy moves and animations (like the smoke replacing Kazuki’s usual fire attacks), and when a character is hit with a hard slash, they comically bounce all around the area. Fitting with the cutesy theme, the blood effects are gone, but there is a surprising amount of confetti. 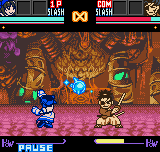 Samurai Shodown! is undeniably fun, but unfortunately, the thrills are short-lived. When the novelty of the the premise and funny attacks wear off, so does much of its appeal. 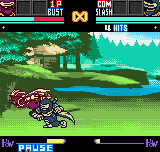 Samurai Shodown! 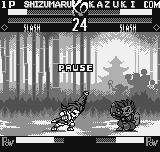 2‘s gameplay system is mostly unchanged from its predecessor’s, and it uses the same button scheme. 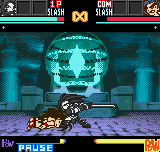 Otherwise, Samurai Shodown! 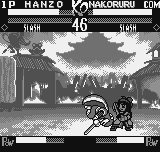 2 attempts to mimic a downscaled 2D version of Samurai Shodown 64: Warriors Rage, with a dab of Samurai Shodown IV. 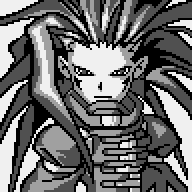 The stages, mostly drawn from the 3D game, are instantly recognizable. 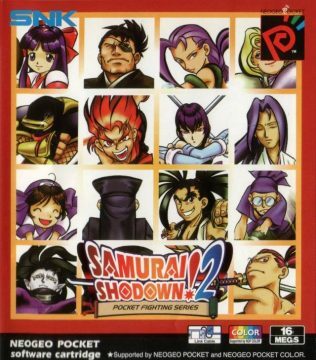 The biggest improvement is that Samurai Shodown! 2 is in full color. 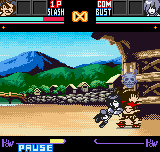 Like many Neo Geo Pocket Color games, the backgrounds look nice but sprites are still limited. At least you can tell the difference between Bust or Slash forms now. 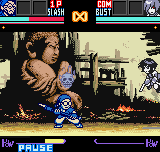 The stages change from night to day, the animations are really easy to spot (Rimururu’s ice spirit looks nice) and before entering story mode, there’s a slick intro followed by a scrolling title before every battle. The roster has also been increased to fifteen characters, including all of the characters from the previous game, as well as Shiki, Asura and Taizan from Warriors Rage. 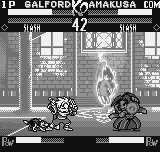 Yuga and Gandara also make appearances as the boss characters, and Kuroko is selectable too, here taking on the form of different players. The gameplay feels a bit smoother, and there’s more emphasis on how you use your moves, since the CPU is a bit more difficult this time around. Finally, perhaps in an attempt to make up for the short-lived nature of the first title, the game allows you to unlock cards, which are gained by going through Survival mode. There are eight unlockable cards for each character, split between the Slash and Bust forms, which grant stat boosts and new special moves. 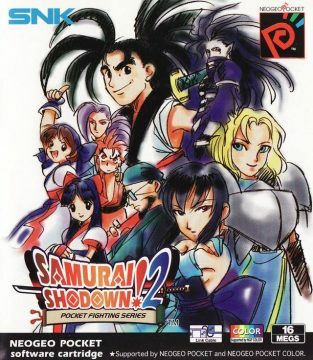 It’s a welcome change from the skimpy package of the first Samurai Shodown!, and a great title for fans looking for Samurai Shodown on the go. However, it really just feels like this was SNK’s attempt at a 2D port of Samurai Shodown 64: Warriors Rage, and like potato chips in place of a proper meal, it still leaves you feeling rather empty.